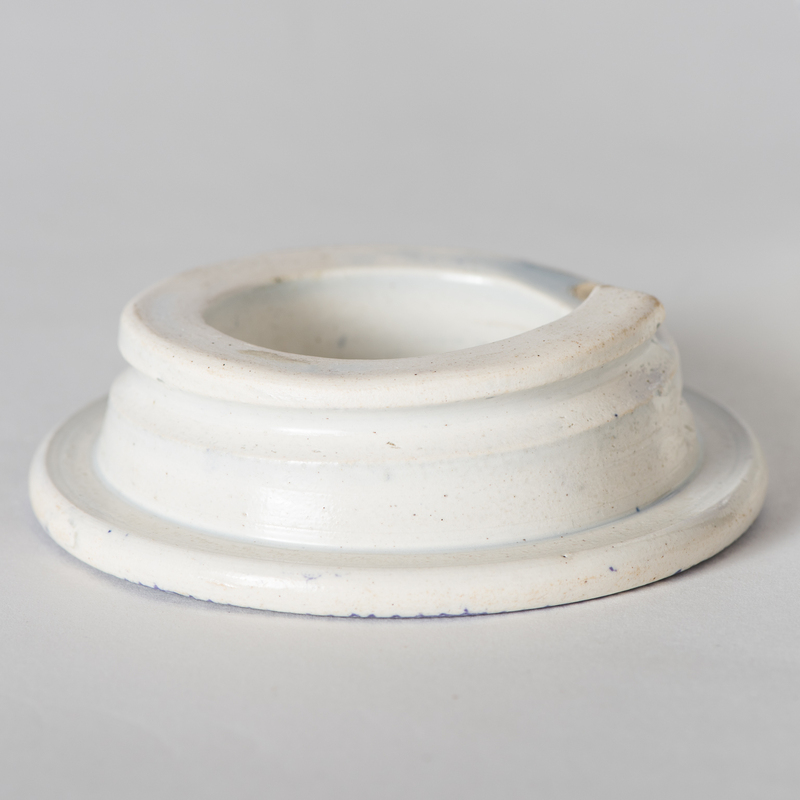 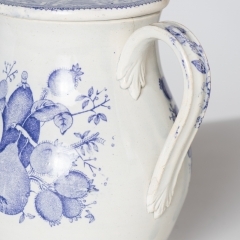 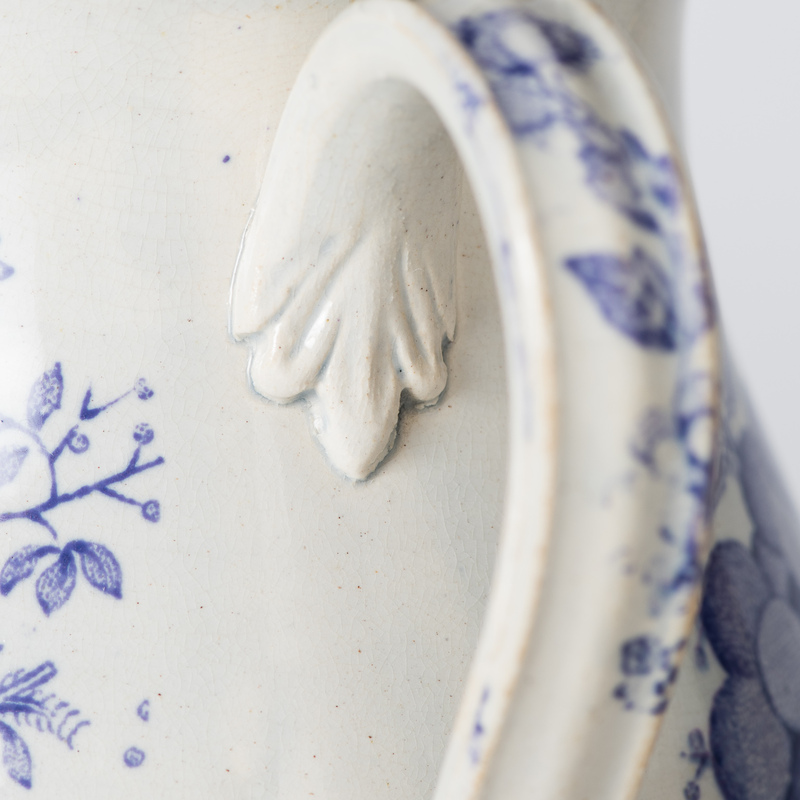 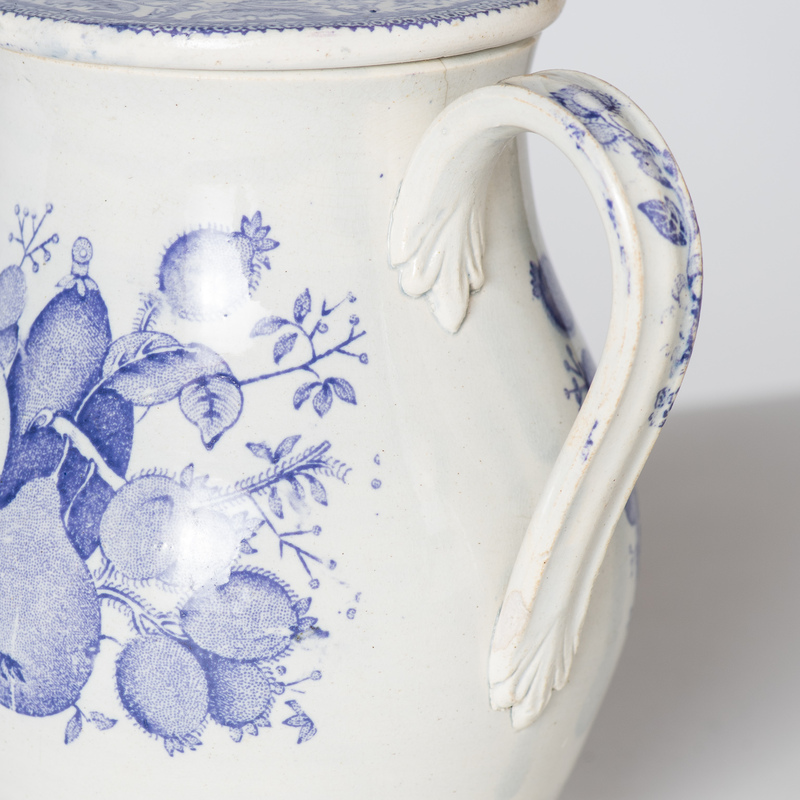 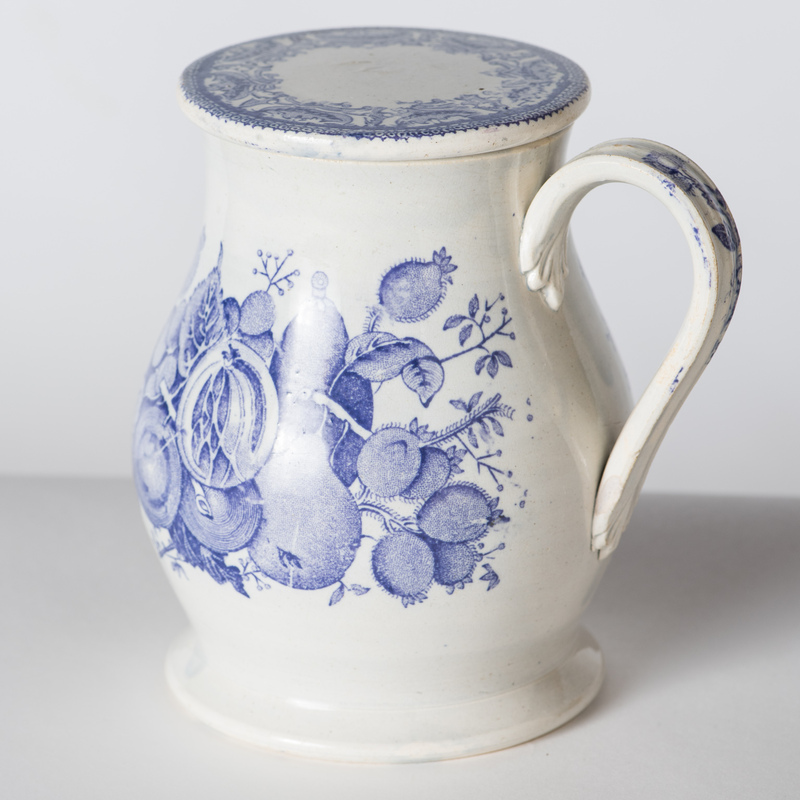 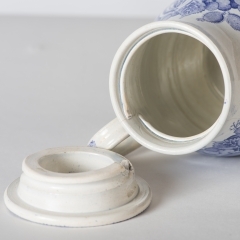 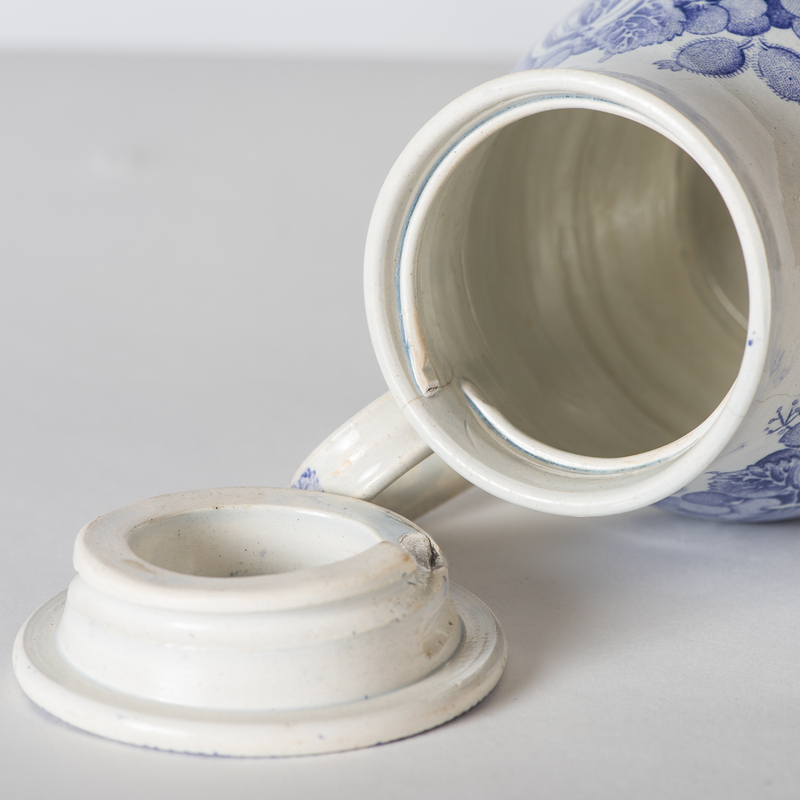 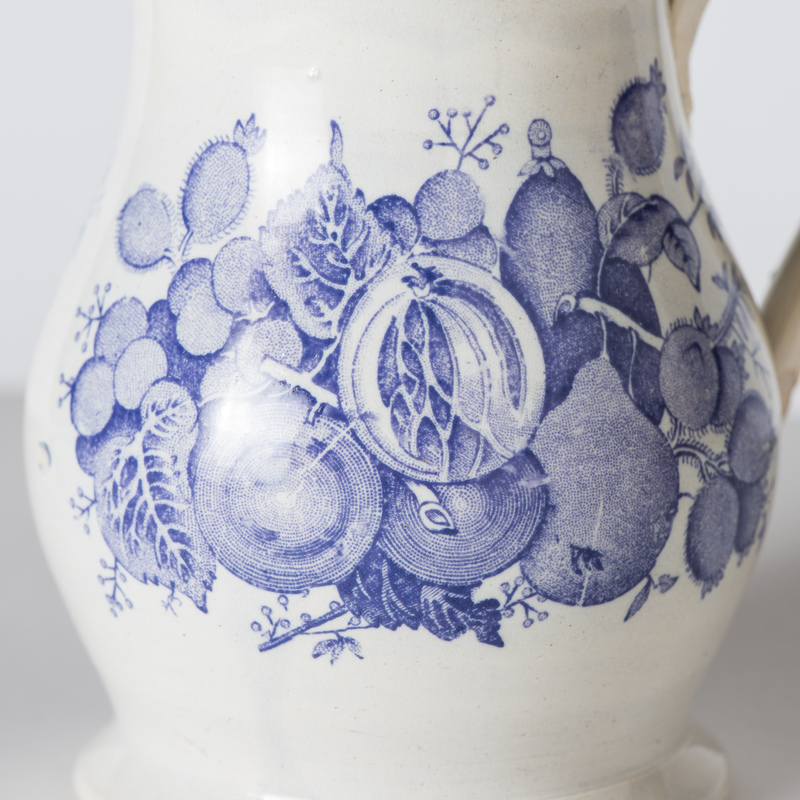 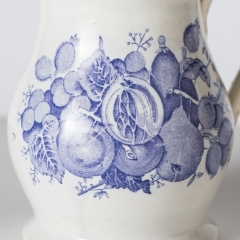 This rare early jug has an unusual screw top that keeps the ale from spilling when traveling, and possibly kept the bubbles in! 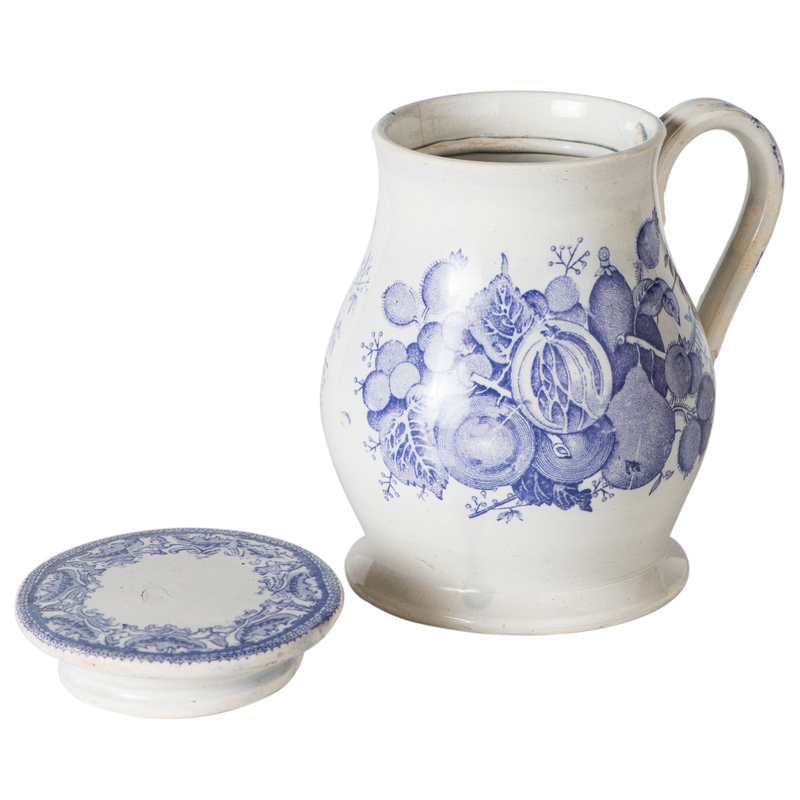 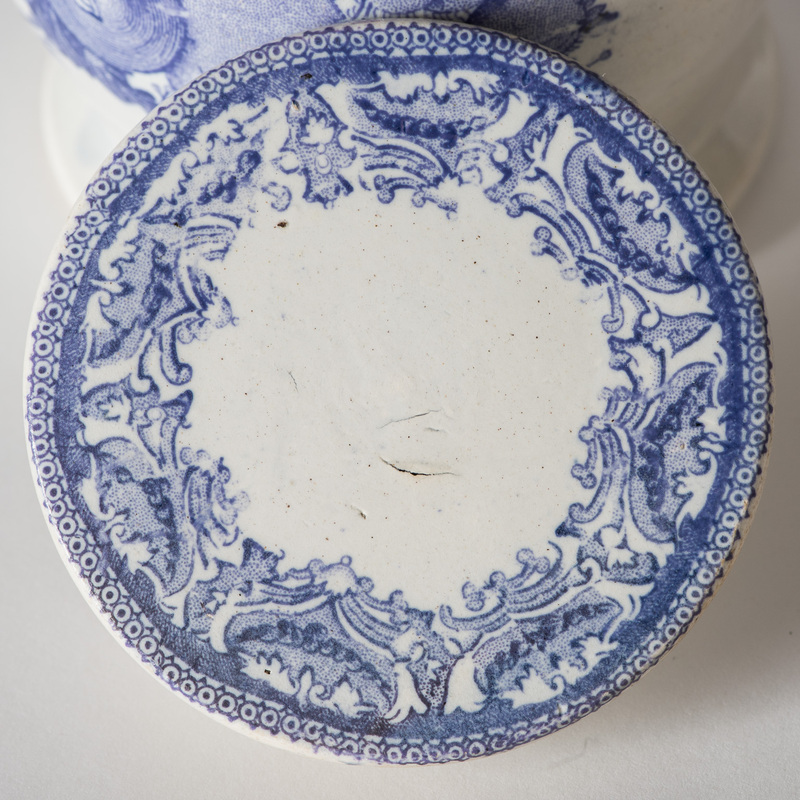 It has beautifully carved handles and subtle lavender transfer decoration. 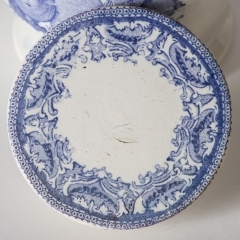 Definitely, a one of a kind piece.